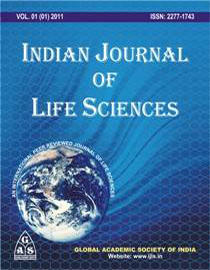 The Journal publishes selected original research articles in in all branches of Botany, Zoology, Environmental Science, Agricultural Sciences, Medical Sciences, Veterinary Sciences, Anthropology ,Biochemistry, Genetics ,Biophysics, Biotechnology, Endocrinology, Molecular Biology, Home Sciences, Cellular Biology and related fields. Along with Original Research articles it also encourages the Short Communication of current interest and Review Articles for publication. Manuscripts submitted to the journal must be original, and not submitted for publication anywhere else.IJLS will be regularly published and issued biannually. Special issue based on specific themes is published at the suggestion of the executive committee of Global Academic Society and members of editorial of IJLS.